Amy Cavallo MA/CCC-A is a NY State licensed audiologist. She has extensive clinical experience in providing audiological services and research for adult, geriatric, pediatric, and special needs populations. 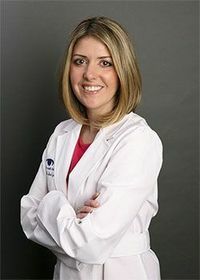 She has served as a Professor Assistant at St. John's University in post-graduate studies, Research Audiologist at Lexington School for the Deaf, and Educational Audiologist at Nassau BOCES School. Dr. Cavallo is also affiliated with several professional organizations including the American Speech-Language Hearing Association (ASHA), Long Island Speech and Hearing Association (LISHA), and the American Academy of Audiology (AAA). Mrs. Cavallo also attains current professional certifications including the ASHA Certificate of Clinical Competence in Audiology and NY State Hearing Aid Dispensing Licensure.